While most people associate teeth chattering in humans as a sign of coldness or anxiety, it's could signify something more serious in dogs. The act isn't as common as other strange things dogs do. Not only that, but it's fairly subtle and can go unnoticed to owners for quite some time. If you begin to notice the uneasy sound of chattering, it's important to keep an eye out on them to find the cause. There's a number of reasons why a dog may chatter their teeth. Some reasons are innocent and don't need any medical attention. Others may be caused by an underlying health problem. Watching the dog will give you a better idea of what is causing the habit and whether or not you need to seek medical attention. Here are some of the most common reasons why dogs chatter their teeth. 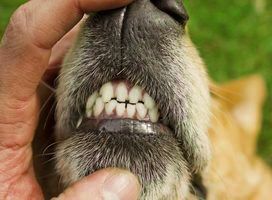 Just like with humans, dogs can start moving their chompers as a reaction to something they're feeling. Sometimes, the action is simply an impulse that they do. Other times, it's a coping mechanism to handle whatever they are facing. It's not uncommon for dogs to start chattering their teeth when they get excited. If your dog starts doing this the second you get home from work, chances are, they are simply excited to see you. Furry friends might even start the habit in the middle of a play session because they are overjoyed and must express it somehow. If that's the case, there's nothing to worry about. This impulsive behavior is coming from something positive. When a dog is in pain, chattering is a way to express this feeling. It's a good behavior to look out for. Often times, teeth chattering is exhibited out of nowhere to indicate that they are feeling pain somewhere you can't see. For instance, they may be experiencing stomach pains. Chattering is also used to display emotional distress. 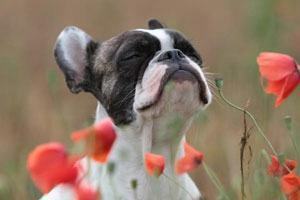 Dogs may start chattering to get rid of their bad energy and frustrations. It can be alarming at first, but if they are doing it to vent, it's better to let them do so. Dogs can have pretty big reactions to taste and smell, and teeth chattering is one of them. Many owners notice that their dogs start chattering after licking or smelling something. Usually, it's simply a knee-jerk reaction. The reaction could go both ways. 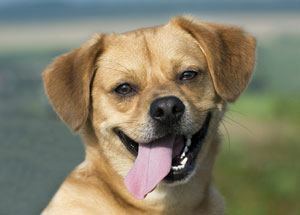 For example, if a dog licks something gross, they'll chatter the teeth impulsively. It's similar to humans shuddering if they taste something displeasing. On the other hand, they may do it because they love the taste or smell and are over-excited. This is especially true with male dogs that may smell a female in heat. Either way, teeth chattering in these instances are simply impulsive and shouldn't be a cause for worry. Shivering when it's cold is universal. 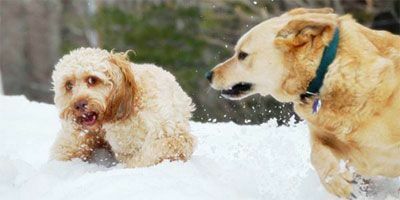 When the temperature starts to drop, a dog's body will start to shiver involuntarily as a reaction, just like humans. This is especially prevalent with short-haired dogs that are living in a cold climate. The best thing to do is to bring them inside to get warm or invest in a sweater to keep them toasty. Dogs can use teeth chattering as a subtle form of communication. This usually occurs when faced with a threat, such as another dog. It's called displacement language. When they come across the threat, they may start chattering the teeth to stay calm and pull focus away from them. For example, another dog may stop paying attention to the dog itself as it starts wondering what that strange noise is. This helps the dog avoid harm and danger. It's a strange form of communication, but it works for many dogs. Other forms of displacement include spinning and licking the face. The worst-case scenario is that your dog is chattering their teeth because of an underlying health issue. A number of different conditions can cause the teeth to chatter impulsively or involuntarily. Either way, it's important to see a veterinarian immediately for treatment. 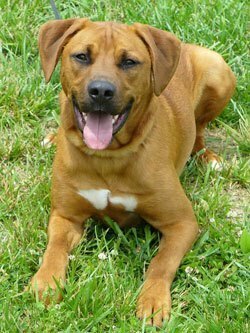 Some conditions affect all dogs while others are caused by hereditary issues or affect specific breeds. 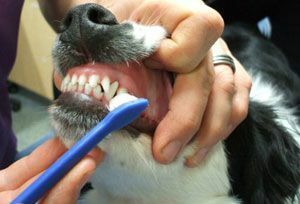 One of the most common conditions that cause chattering, advanced periodontal disease causes significant pain for dogs. Essentially, it's a gum disease where bacteria grows in small gaps between the gums and teeth. If left untreated, the disease affects the bones, teeth, and tissue. It can be very painful for dogs. Unfortunately, most dogs try to mask the pain to avoid showing signs of weakness. However, they may instinctively chatter their teeth at the pain. Their teeth should be examined regularly as part of the grooming routine. If their gums are inflamed, it may be a sign of the disease. It usually affects the lower gums first, but it's a good idea to examine the entire mouth. This condition is relatively common in dogs, more than it is in humans. Epilepsy can be caused by a number of things, including tumors or allergies. With the condition, the dog's entire body convulses. These seizures will cause the teeth to chatter. This is also accompanied by intense drooling and foaming from the mouth. It's an alarming condition that should be taken seriously. Veterinarians will be able to determine if the seizures are from epilepsy or something more sinister. If the seizures last longer than 5 minutes each, it's imperative to get them examined as soon as possible. Also known as the "shaker syndrome" Multisystem Neuronal Degeneration causes the body to tremble. It also leads to balance issues among dogs. It's a hereditary issue that usually affects Cocker Spaniel, Maltese, and Bichon Frise breeds. There's no cure for the disorder, but veterinarians can treat it. They'll use a variety of methods that help manage convulsions and teeth chattering. In some cases, symptoms can be eliminated altogether. This condition affects the jaws only. It's also very brief, so it can be difficult to spot if you're not watching your dog closely. Essentially, it causes the jaws to tighten up for a brief period of time. This results in chattering. Luckily, it doesn't last long. It's usually not serious, but it's still a good idea to get the furry friend checked out by a vet to ensure it's not a symptom of something else. Dogs can begin to pick up this behavior as they get older. Teeth chattering is far more common in senior dogs. If they don't have any other symptoms that could be the cause of the behavior, it's simply a matter of old age. This impulsive behavior begins to affect dogs of any breed and size as they reach a certain age. The most important thing to do when your dog starts chattering their teeth is to watch them. There are many causes of the behavior, and the more you know about why your dog is doing it, the better. If it's caused by a serious health condition, teeth chattering is a way for you to catch it and get your pooch help quickly. 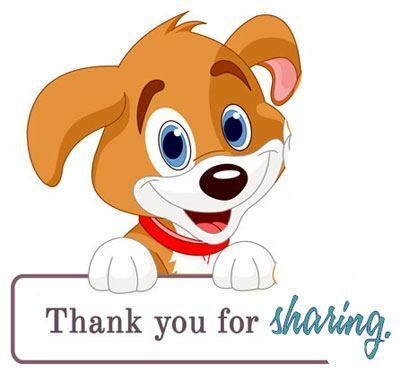 Ultimately, understanding why your dog chatters their teeth can help them over the long haul. Also Read: Can Dogs be Autistic?